The Holidays can be a thrilling time of year! Houses get decorated with lights, people gather for parties and feasts, and winter activities are in full swing. With the weather getting colder outside and wallets thinning from gift-giving, many people shy away from purchasing a new home during this season. However, could it be in your favor? 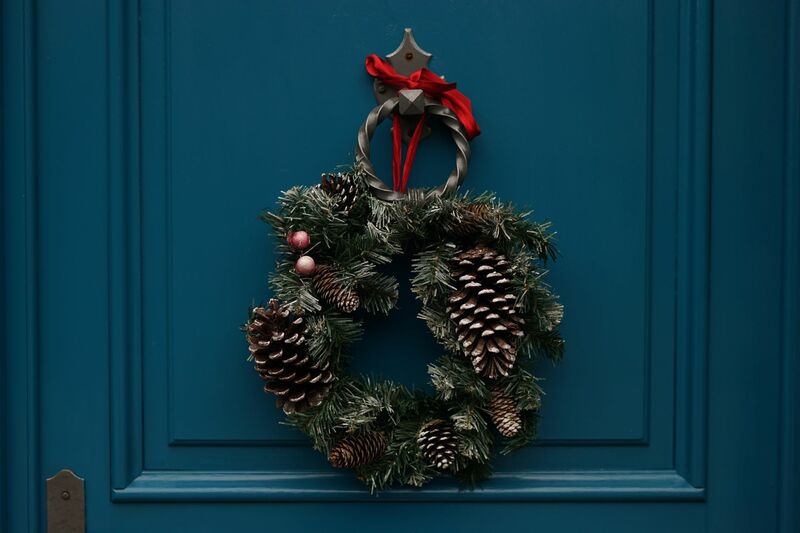 Check out these 6 reasons why the holiday season could benefit your home buying journey! During the winter season, significantly less people are looking to purchase a home. With fewer buyers in the market, competition tends to be lower and more sellers are anxious to close. . As a result, buyers shopping during this period tend to have higher negotiating power. If you’ve ever purchased a home during a hot season, then you may know the frustration of losing a house to another offer or working with sellers who won’t budge on price or any improvements. With less competition, sellers are more likely to accept your offer and agree to changes. If you close on a home before the end of the year, then you could receive some benefits on your upcoming taxes. For example, you may be able to deduct a portion of your mortgage expenses, property tax and possibly even moving costs if you are relocating for work. With moving being costly, it would be nice to reap those benefits sooner rather than a year later. Closing before year end could also allow you to receive a homestead exemption, thus lowering your property taxes for the following year. Interest rates and loans go through cycles during the year. During the holidays, less people are typically looking to borrow, so rates tend to be lower. If you’re considering buying a home during the holidays, you should contact your local bank about their rates and keep an eye out on current trends. This way you’ll be able to score a mortgage at a reasonably low rate! In addition, rates are higher this year, with many economists predicting that they'll move even higher in 2019 following anticipated monetary changes by the Federal Reserve. As a general rule in business, everyone wants to close transactions before the year ends. Buyers want to be in their new home as soon as possible, and sellers don’t want to be bothered with more showings and open houses in the new year. Also, lenders will want to include your new loan on the current year’s books, and agents will want to be done before the new year rolls around. Therefore with most or all parties being motivated to finish, the closing process should go rather smoothly and fast. Not only are the holidays a good time to buy a home, but they are also a good time to hit up seasonal sales for things needed in your new home. If you’re moving to a larger place that you need to furnish or are in need of updating appliances, this is the perfect time to take advantage of the deals on the market. The holiday season is the most popular time for sales, so you’ll get great deals on items for your new home. Although this refund happens all year long, we believe it’s the best benefit to buying a home during the holidays ….or any other season. When you purchase a home with a SimpleShowing agent, you’ll receive half of their commission back at closing ($6,000 on average). It’s the biggest refund around and can certainly help offset moving expenses. You can sign up for the refund at www.simpleshowing.com. There's no obligation to buy when you sign up and thousands to look forward to when you close.